Long handled kabuki from Everyday Minerals is a dense kabuki brush made out of synthetic bristles with a longer bamboo handle about 8 cm long. 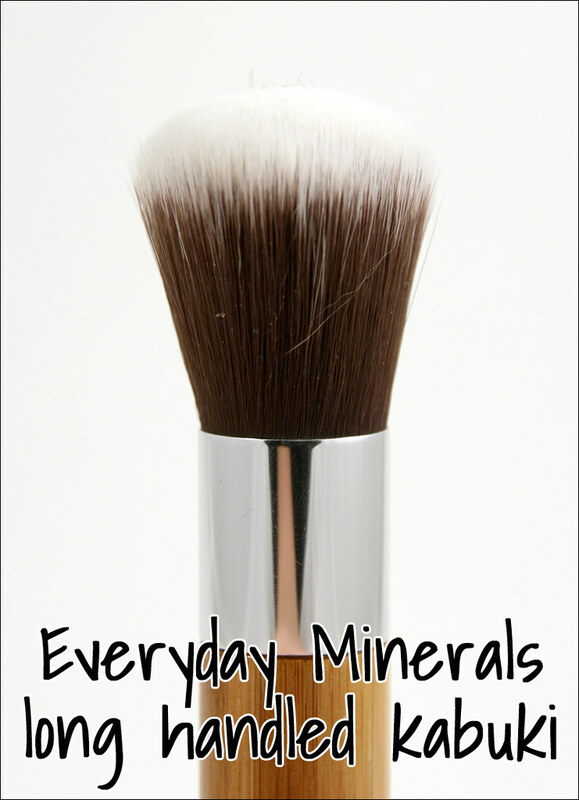 Everyday Minerals recommends that you use the brush for applying mineral foundation, but you can also use it for applying blushes and powders. 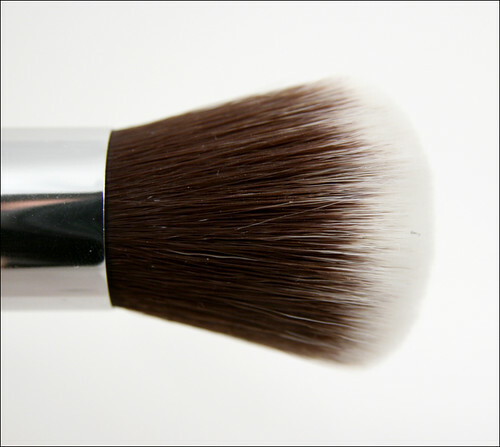 What I like most about this brush is that it’s so soft and nice against the skin. Plus, it’s extremely dense, which makes it perfect for buffing mineral foundation into the skin, especially if you’re looking for higher coverage. The handle lies comfortable in my hand, but to be honest I prefer a traditionally short kabuki brush handle, it both takes less space and you get a great grip around it, plus the handle of Long handled kabuki is just too short for not disappearing into my brush jug where I store all my brushes, but I guess that’s just a matter of taste. 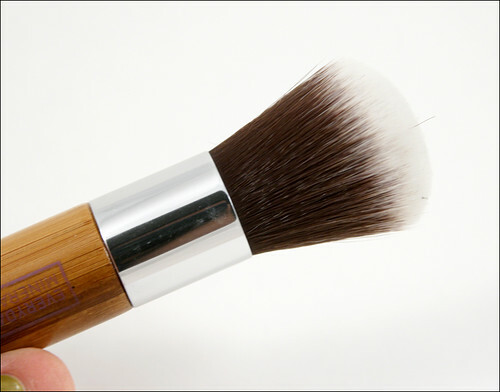 This is a high quality kabuki brush well worth its money, and it gives a great result and is perfect for those of you who like to avoid brushes made out of natural bristles. Be prepared though that it takes forever to dry after washing it since it’s so dense! Long handled kabuki costs $12 at Everyday Minerals. Den funkar bra till rouge, men föredrar att använda den enbart till antingen foundation eller rouge för att slippa tvätta den så ofta. Den tar nämligen sjukt lång tid på sig att torka! Jag gillar den här borsten till flytande foundation. Jag har inte hunnit testa den till det än, men jag kan tänka mig att den funkar bra till det också eftersom den är så tät! Jag har denna fast med kort skaft, och även den med platt top – tycker de smått underbara, och verkligen sköna och mjuka mot ansiktet.